2100mm Wood Pulp Writing Paper Making Machine can manufacture high quality cultural writing office paper with different weight. We also provide wood pulp processing machine. This Wood Pulp Writing Paper Making Machine is also suitable for the pulp of wheat straw , wood , sugarcane bagasse ,waste paper, bamboo, etc. 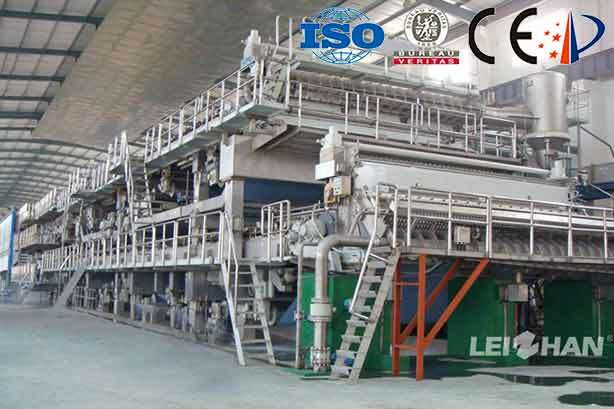 Except this Wood Pulp Writing Paper Machinery, Leizhan also provide culture paper pulp preparation equipment, including M.C.Hydrapulper, which is used for pulping wood pulp, and H.C.Hydrapulper, which is used in waste paper deinking process. Welcome to contact us for further information.